Professional Stitch Painter Gallery displays creations made by professional clients of Cochenille. For those new to the software, our gallery images will give you an idea of the designs that can be created using Cochenille’ Stitch Painter software. View the slideshow below to get an idea of what can be created using Cochenille’s Stitch Painter software. This grid-based design software can be applied to both hand and machine knitting, crochet, beading and stitchery. 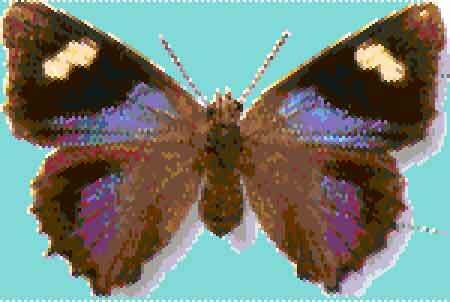 Please CLICK HERE to view additional Plug-ins to assist with importing jpeg images, beading and stitchery. For other examples please view additional galleries created by Cochenille and other clients of Cochenille. 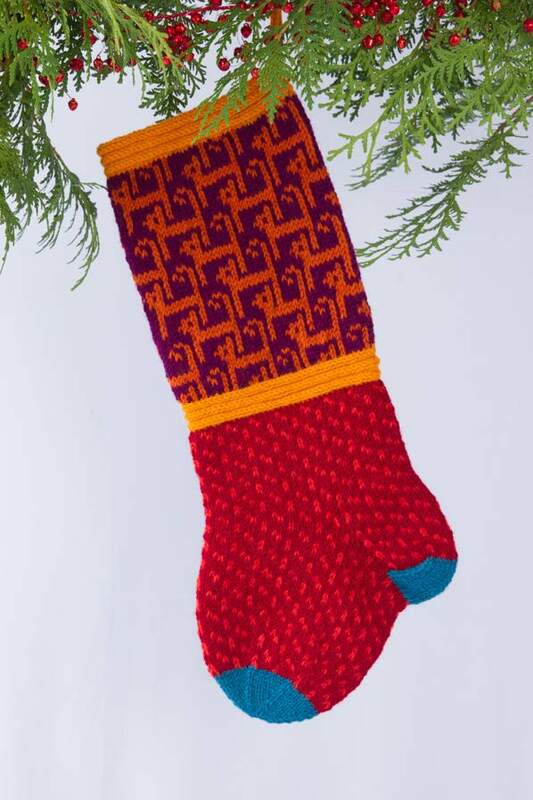 This is “Liza”, a mitten designed with Stitch Painter. 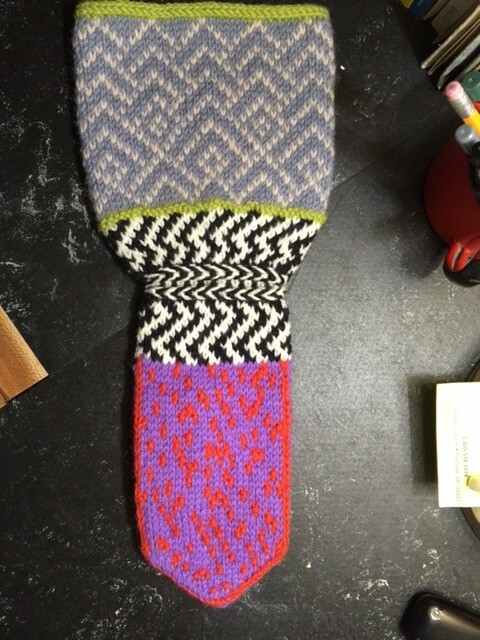 Gillian began her design career as a hand and machine knit designer. 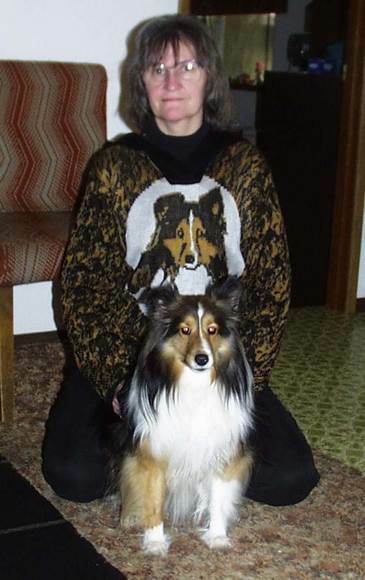 She started using the computer to assist with knitwear design and became UK distributor for Cochenille Design Studio. Gillian was introduced to beading during the testing of the beading module for Stitch Painter. Beading has dominated her world in the past few years. 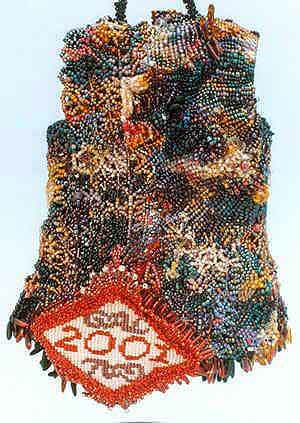 She is editor of the Beadworkers Guild Journal, serves on the Guild committee and teaches beading classes each week. This piece is and actual 1/4 scale of my body - using Garment Designer. Contoured vest style with tips and fold back collars on the front. Paper patterns were printed and the beading made to fit them.The lozenge on the back with my initials GAL and the year 2001 were designed and gridded in Stitch Painter. The title comes from the measurements (sloper) I used and modified during beta testing of Garment Designer. Jo began her career in textiles in 1986 and works exclusively with her own unique collection of yarns. Her passion for colour is the primary influence in her work. She strives to create wearable designs that are colourful and stylish without being too complicated to knit. 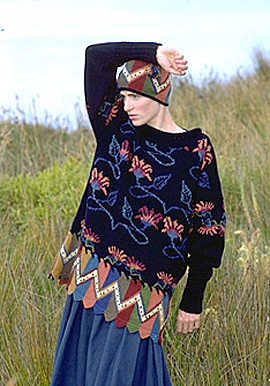 This sweater is from the West Cape Howe collection and book. 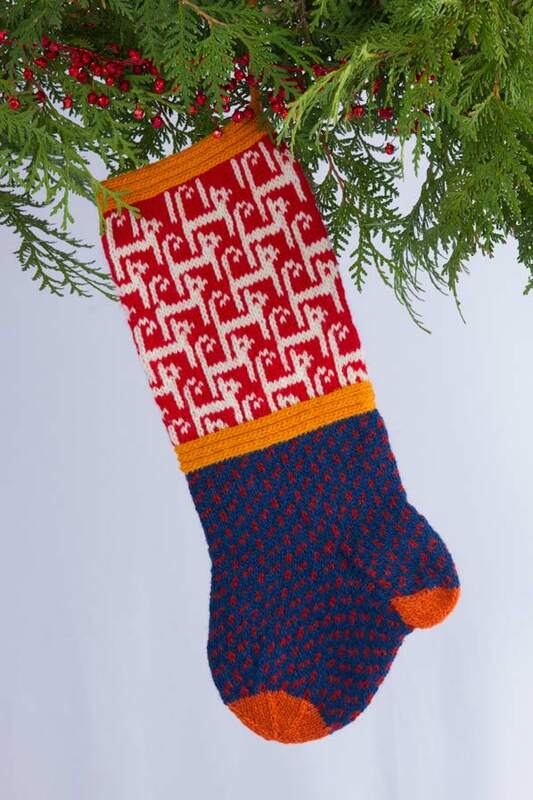 It utilizes intarsia. The Heirloom Jacket features Woven stitch sleeves and collar and has side seam pockets. 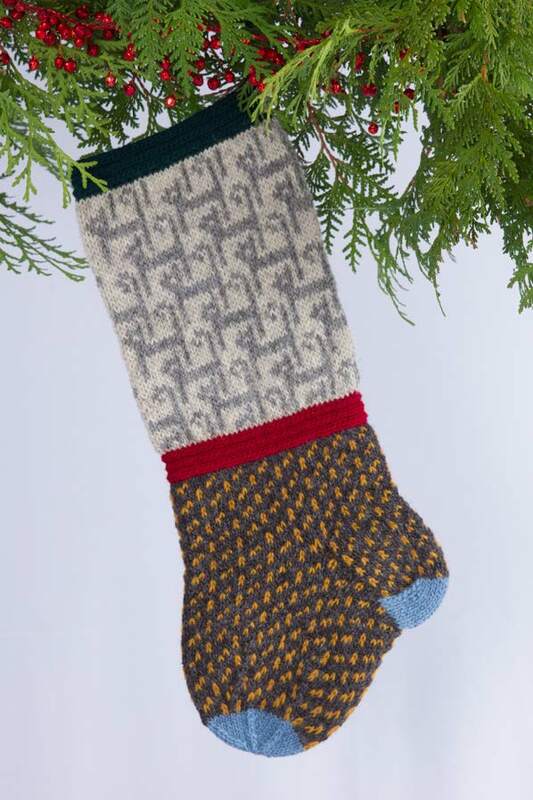 This pattern is suitable for an Experienced knitter with knowledge of Intarsia knitting. Available as a leaflet pattern. This sweater is from the Hanover Bay collection and book. Wonderful star motifs in rich colours serve as the focal point of the garment. 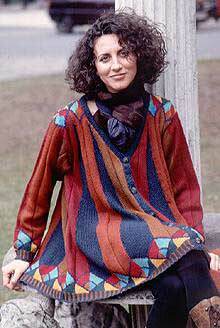 This sweater is from the Knitting Bazaar collection and book. It utilizes a intarsia motifs which sit gently on a soft background. A ribbed shawl collar and bands complete the piece. 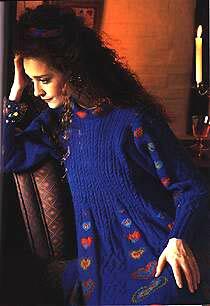 This sweater is from the Hanover Bay collection and book. 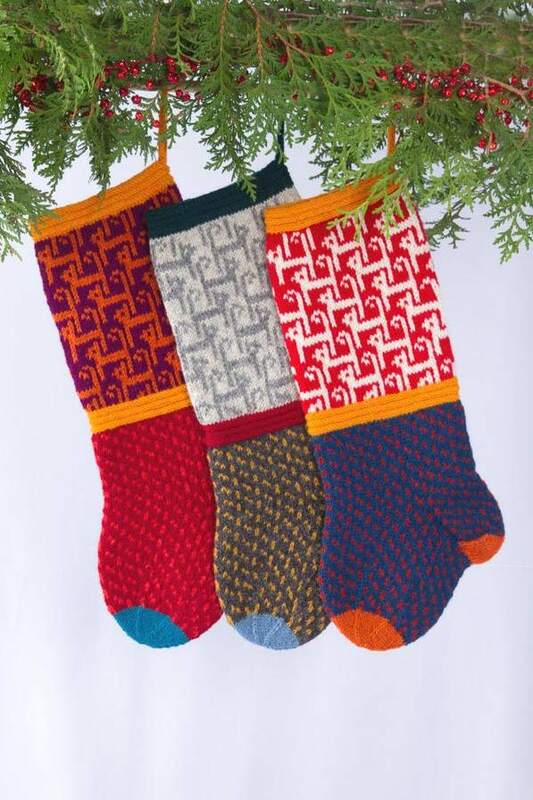 It utilizes a repeating pattern in warm rich colors. A romantic mix of cables, godets and hearts in DK wool. Available as a pattern in the book, as a kit or ready-made. 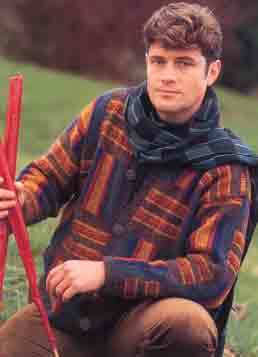 From the 'Knit for All Season' book. 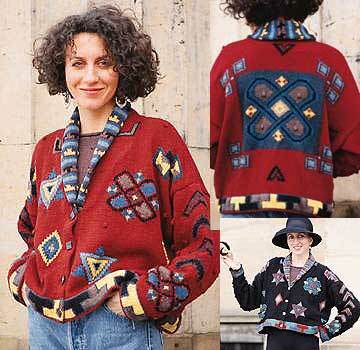 This sweater jacket is taken from Jean's World Knit book. It is rich with traditional symbolism, and features a shawl collar. 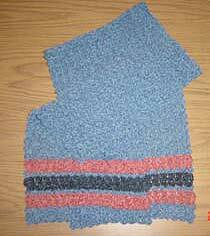 Knit with cotton glace yarn, it is a challenging intarsia project. Available as a pattern in the book, as a kit or ready-made. The jacket is inspired by dazzling Guatamlan colours, easy to wear and in DK wool. Available as a pattern in the book, as a kit or ready-made. Inspired by the vibrant gold and red silks of the Ewe people of West Africa. Available as a pattern in the book, as a kit or ready-made. This intarsia design features various wolf images which are wonderfully detailed and accurate to the original photo of the wolf. The pattern contains a wolf portrait, howling wolf, pup and wolf tracks Available as a pattern on her website. 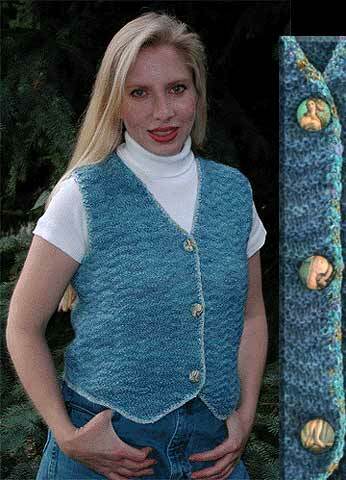 Brenda knit the Venus Vest with Lisa Souza's handspun hand dyed wool/mohair combo in periwinkle just for herself. She designed it with Barbara Walker's ripple stitch from her Treasury of Knitting Patterns, pg.13 and Garment Designer. She used 4.5mm straights and knitted the vest all in one piece. For the 2 lines of crochet edging she used a really pretty cotton/rayon in her stash that had similar colours in it to match the buttons and the vest. The fabric buttons were special ordered from Lisa. 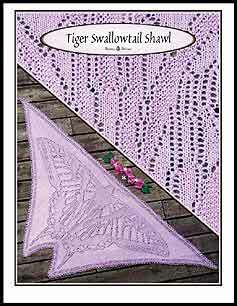 This shawl features a flying butterfly captured in eyelets, garter and stockinette stitches. Brenda worked from a real butterfly to design this project. Available as a pattern or kit on her website. 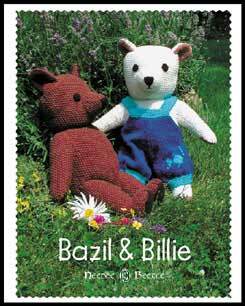 Bazil and Billie are adorable stuffed seed stitch teddybears wearing optional overalls with intarsia fish motif. Available as a pattern on Brenda's website. Freddie has become a crochet and software guru. She makes Stitch Painter and Garment Designer sing when it comes to using them as design tools for crochet. This was a commission piece. A Shakespeare saying was scanned and imported into Stitch Painter and the stitches were then laid into the grid. Stitch Painter was used to place color for this scarf. 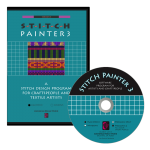 Stitch Painter was used for the color placement and Garment Designer to estimate amount of fiber for each color. Stitch Painter symbols and colors were used in the creation of the sweaters. Morgan is a lifelong fiber artist with a BA in Anthropology and MS in Engineering (Technical Writing). He is a favorite instructor affiliated with the Fashion Design department of the Art Institutes International in Seattle where he has presented courses in fashion marketing, portfolio development, computer-aided fashion design, and business writing. He works tirelessly on behalf of textile design consumers to provide technical solutions to their needlework problems. He is an inspiring graphic artist and fabric designer, having produced thousands of motifs for machine and hand knitting, a developer of techniques for crochet, machine and hand knitting, as well as pursuing ongoing interests in historical and new technology and fashion. 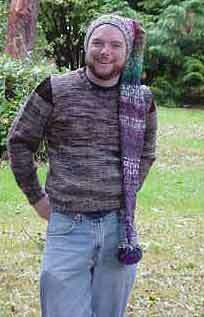 He is the owner of www.sweatersbydesign.com where his publications and patterns are showcased. 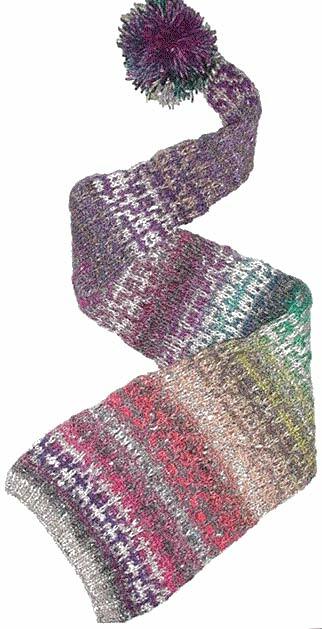 This scarf hat's shape was created in Garment Designer then hand knit in slip stitch mosiac using Noro's Silk Garden. Rather than knitting the final pattern as two separate pieces, this hat was worked as one piece with side and central decreases to define the shape. If desired each piece could have been machine knit separately and assembled later. Morgan was a great help in the proof-reading of the Garment Designer manual. His expertise was greatly appreciated. Sharon is a professional machine knitter and author of various patterns and instructional brochures. She is a Passap consultant and she teaches classes and workshops around the country. She also consults with small businesses to assist them in getting a machine knit business off the ground and running smoothly. Sharon took a digital image of her dog, Tori, and using the Full Color Import module and Stitch Painter, she color-reduced and gridded the image. Notice how good the full color import photo worked at catching the fact only one of his ears is tipped. Vicki is co-owner of Beady Eyed Women with Jeanette Cook. Together they author books, patterns and teach workshops. Vicki says “I’ve been playing with beads for as long as I can remember. My earliest memories include playing in my grandmother’s button tin”. She grew up learning one craft after another at at one point worked with fused glass. Vicki has been immersed in the bead world for 13 years now – teaching, selling beads and jewelry, and sharing the knowledge she’s picked up through the years. 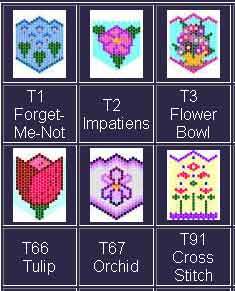 These are a sampling of various floral designs Vicki has designed with Stitch Painter. 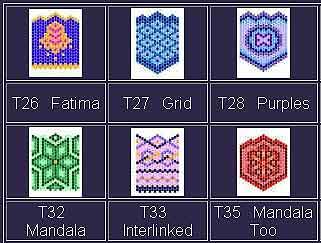 Each of these are designed for floral pouches/amulet bags or other uses. 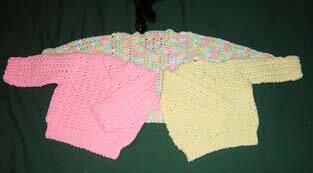 These patterns are available through Vicki's web site. These are a sampling of various Celtic designs Vicki has created with Stitch Painter. Each of these are designed for celtic pouches/amulet bags or other uses. 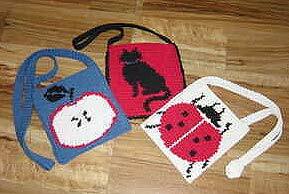 These patterns are available through Vicki's web site.